Jan. 31, 1982 Named MVP of the All-Star Game for the only time in 12 appearances. Scored 19 points, with 12 rebounds and five assists in the Eastern Conference's 120-118 win. 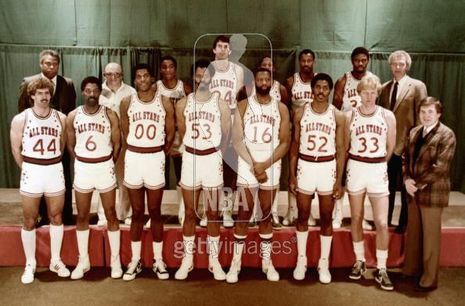 Bird's 19 points in the 1982 NBA All-Star Game, including 12 of the East's last 15, earned him the game's MVP trophy. It wasn't until 1983-84, however, that the Celtics returned to the NBA Finals. By that time Bird's scoring average had reached the mid-20s, and he was averaging upwards of 7 assists. He also hit nearly 90 percent of his free-throw attempts.